We are the official distributor of IDENTIFY in Belgium and Luxembourg. MOTION MANAGEMENT & PATIENT SAFETY REDEFINED! From the moment the patient enters the clinic they are positively identified and details of their treatment are at your fingertips. As they enter the treatment room, IDENTIFY will verify the right technology and the right patient setup. IDENTIFY’s intuitive interface guides you through the patient setup, directs the positioning of the patient and accessories through visual assistance. 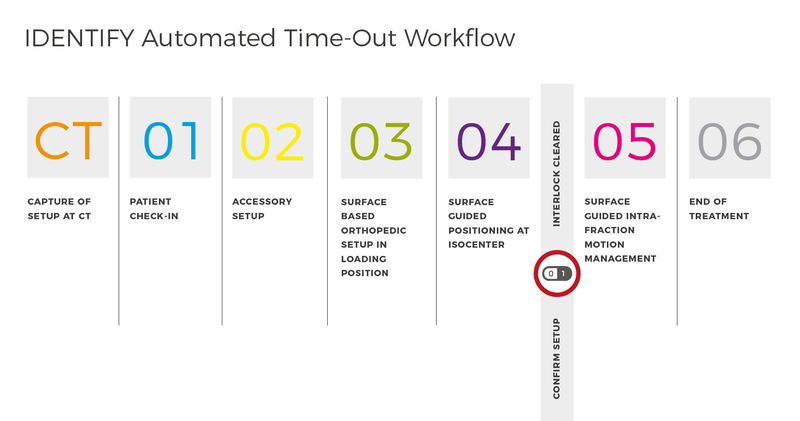 Not only empowering confident setup but also reducing the time required to do so. For experienced staff, rotating staff in larger clinics and personnel in training!